Got Questions? We have the answers! There goes an old saying – Eat breakfast like a king, lunch like a prince, and supper like a pauper! Breakfast is the most important meal of the day and it needs to be packed with the right amount of nutrients to give a great start to your morning. Here’s our list of 7 healthy breakfast options that will give you the right amount of energy for a long day ahead. This South Indian staple dish is made of fermented rice and lentils and is loaded with multiple nutrients. It is a good source of carbohydrates and protein and is low in calories. Serve it with sambar and chutney (coconut, tomato, mint, tamarind) for an extra dash of taste. 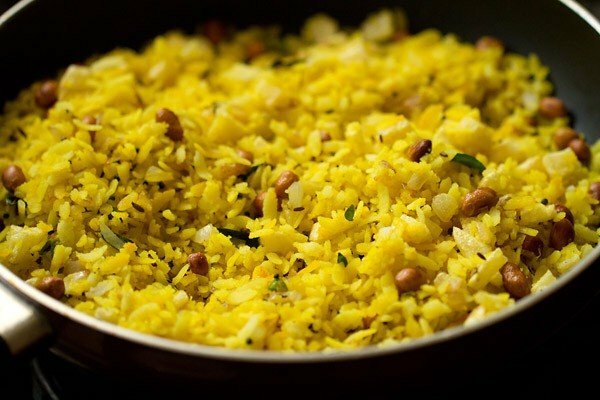 Poha or flattened rice is a good source of carbohydrates and iron. It’s very low in gluten and is thus ideal for those who are looking for a gluten-free breakfast. Add some vegetables while preparing it to make it more nutritious and use as little oil as possible. You can also opt for poha made of brown rice for that extra healthy feeling. Start your day with a bowl of oatmeal served with milk, honey and your choice of fruits and nuts. It is extremely easy to prepare and is quite rich in fiber. It helps in lowering cholesterol and stabilizes sugar level. Eggs are very rich in protein and when combined with whole grain toasts, they make a very healthy breakfast. Add some beans and tomatoes to this mixture and you can have a good dose of vitamin C, lycopene, potassium and folate as well. 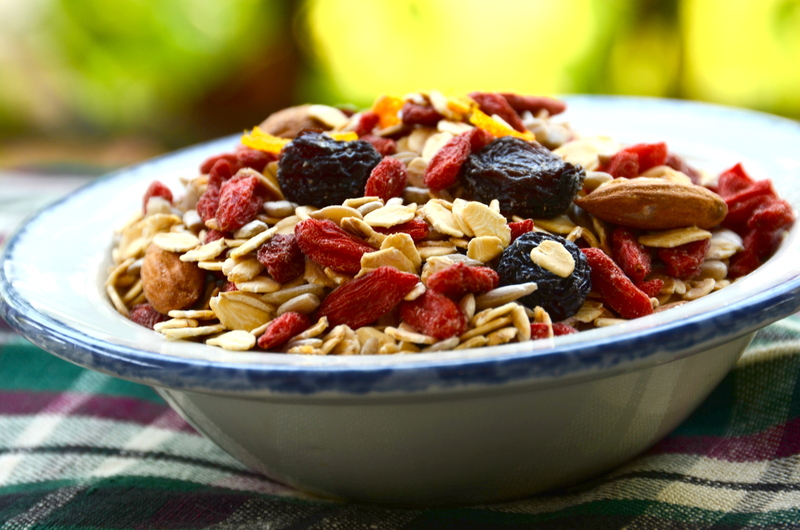 Muesli contains less sugar and calories that most cereals available in the market. It’s packed with fiber and is good for digestion. Have your bowl of muesli with yogurt and dry fruits like walnuts which are high in protein and Omega-3 fatty acids for a wholesome breakfast. Unrefined wheat or daliya is rich in complex carbohydrates which make sure that glucose is released steadily into the bloodstream to regulate blood sugar levels. It is also a good source of dietary fiber and low in cholesterol and fat. Prepare it with milk and add honey and nuts for a nutritious and tasty breakfast. If you don’t like sweet, you can also make a savory version. Our humble roti is a great source of nutrients including vitamins B1, B2, B3, B6, and B9, iron, calcium, phosphorus, magnesium, and potassium. People normally have wheat flour roti, but if you are allergic to gluten, opt for bajra rotis instead. Add a cup of sabji or cooked vegetables for an amazingly healthy breakfast. A good and hearty breakfast is very important for good health. It’s time you realize it and start your day with something nutritious and feel the difference. After the baby is born, What kind of food or drinks we can give to baby? What is the best thing to eat on an empty stomach before the morning walk? An Infection After Knee Replacement: What’s the Incidence? Does panipuri contain fat? Is it a diet food or not? What are some of the best day-to-day health tips? I need know the answer for this simple question! How can I reduce mental stress? How do you compare creatine and pre-workout supplements? Is it helpful to take glucose water after a workout? Download it Today! Availlable on. A product of Manipal Health Enterprises Pvt Ltd. Copyright © 2019 Health Library.